Still life painting of grapes, apples and pears on a wrought iron and wood tray. Painted surface is 11.5 x 6 inches and is covered with ten coats of polycrylic to protect the underlying painting. 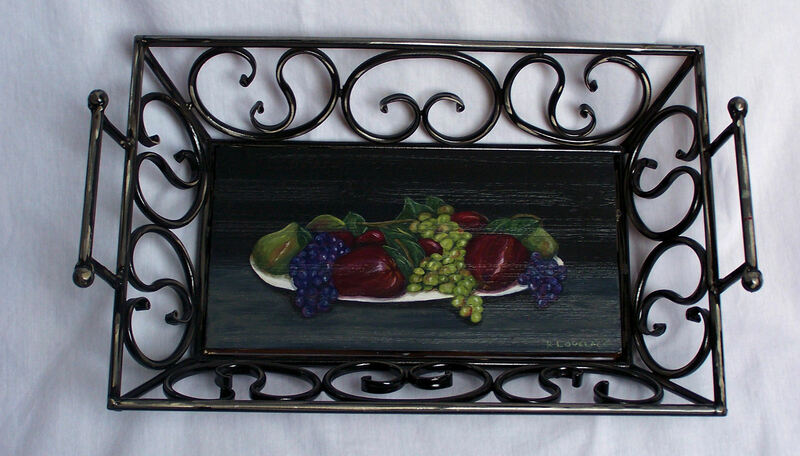 Wrought iron is in a beautiful scroll pattern with handles. Wooden surface is slightly distressed. Cllick here to return to the Misc. Items page.